Kalle Kalima (b.1973) began his musical studies on the piano at the age of six, but switched to the guitar some five years later. Kalima studied at the Sibelius Academy (1995-2003) in Helsinki and at the Hanns Eiler Conservatory in Berlin under the guidance of Raoul Björkenheim and John Schröder, respectively, among many others. After taking up residence in Berlin with his family in 2000, Kalima has continuously broadened his musical expression and has performed with a number of leading proponents of free improvisation both in Finland and internationally, including trumpeters Wadada Leo Smith and Tomasz Stanko, saxophonists Juhani Aaltonen and Anthony Braxton, pianist Heikki Sarmanto, bassists Greg Cohen, Teppo Hauta-aho, Sirone and Ed Schuller, guitarist Marc Ducret, composer Simon Stockhausen and vocalist Linda Sharrock. He also frequently performs with Jimi Tenor in the realm of alternative pop/rock music. In addition to Europe, Kalima has performed in Africa, Asia and the United States. In recent years, Kalima has mostly performed with his own and collaborative groups representing distinctly different approaches to improvised music. These currently include the jazz improvisation of two guitar trios, Johnny La Marama (with bassist Chris Dahlgren and drummer Eric Schaeffer) and Klima Kalima (with bassist Oliver Potratz and drummer Oliver Steidle), the free improvisation and avant-garde influences of K-18 and the Kalima-Kalmisto Duo (with Teppo Hauta-aho) and his solo project Kalle Kalima Pentasonic, where he surrounds the audience with five amplifiers and uses different effects and preparations in addition to his guitars. Kalima´s earlier groups have also included the freely pulsating improvisation of Momentum Impakto (with saxophonist Daniel Erdmann and drummer John Schröder) and the melodically rich, folk-influenced lieds of Soi Ensemble (with lyricist Essi Kalima, vocalists Johanna Iivanainen, Eeppi Ursin and Merzi Rajala, cellist Riikka Lampinen, organist Mikko Helevä and percussionist Mongo Aaltonen). He has also been featured as a soloist with larger ensembles, including Kalima´s concerts of his own compositions with the UMO Jazz Orchestra in 2009 and the NDR Big Band in 2012. Kalima´s recordings include his first recording with K-18 (Some Kubricks of Blood, TUM CD 022), his solo recording with Kalle Kalima Pentasonic (Iris in Trance), three recordings with Johnny La Marama (Johnny La Marama, …Fire! and Bicycle Revolution), three recordings with Klima Kalima (Helsinki on My Mind, Chasing Yellow and Loru), two recordings with Momentum Impakto (Haw Haw and Hyvä Bändi Livenä), two recordings with Soi Ensemble (Pehmeä and Koiperhonen) and a recording with Kalima Trio (with Marc Ducret: Hippycone). He has also recorded with the Olavi Trio (Triologia, TUM CD 025), Bica Klammer Kalima (A Chama do Sol), Lynx (Lynx Fux Fox), Baby Bonk (…Sagt Die Waherheit), Jazz Parasites (Very Early), Maurice de Martin (Transylvania), Mircea Tiberian (Eleven and Palindrome) and Nuijamiehet (Nuijamiehet), among others. 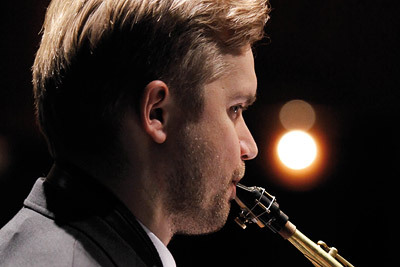 Mikko Innanen (b.1978) began playing the alto saxophone at the age of ten. 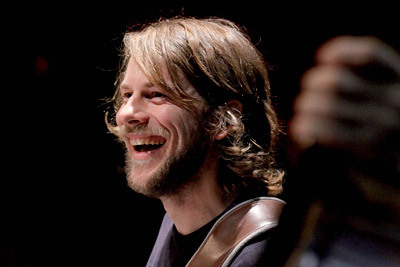 He graduated with a Master of Music degree from the Jazz Music Department of the Sibelius Academy in 2003. Innanen spent one year of his studies - fall 1998 and spring 1999 - in Copenhagen at the Rhythmic Music Conservatory, where he studied with and befriended a number of Danish and other students, leading to collaborations that still continue today. In the past decade or so, Innanen has established his position as one of the most innovative saxophonists and composers on the Finnish and Nordic jazz and improvised music scene. He has also increasingly spent time in New York City performing with many of the leading improvisers on the local scene. To date, he has published some 20 recordings as a leader or co-leader and more than ten as a sideman. Innanen currently performs with his own groups ranging from Mikko Innanen & Innkvisitio (Paa-Da-Pap, TUM CD 019, and Clustrophy, TUM CD 025) and the Mikko Innanen Trio (with bassist Joe Fonda and drummer Lou Grassi) to his solo project, Mikko Innanen F60.8. He is also well known for his participation as a co-leader, featured soloist and composer in various collaborative groups, such as PLOP (with bassist Ville Herrala and drummer Joonas Riippa), Delirium (with trumpeter Kasper Tranberg, bassist Jonas Westergaard and drummer Stefan Pasborg: Eclexistence, TUM CD 010), Triot (with bassist Nicolai Munch-Hansen and Stefan Pasborg; Triot with John Tchicai: Sudden Happiness, TUM CD 008), Gourmet (with trombonist Ilmari Pohjola, Veli Kujala, guitarist Esa Onttonen, tuba player Petri Keskitalo and drummer Mika Kallio), the Mikko Innanen-Jaak Sooäär-Han Bennink Trio (Spring Odyssey, TUM CD 015) and the Mikko Innanen-Mika Kallio Duo. He also performs with Pasborg´s Odessa 5 (led by Stefan Pasborg), Wade Mikkola´s Contrasts, the Charles Mingus repertoire band Tonight At Noon, Pekka Tuppurainen Röd/Blå and The Chile-Finlandia Connexion. His past collaborations have included Fredator, Iro Haarla-Ulf Krokfors Loco Motife (Penguin Beguine, TUM CD 011), Itchy, Mr Fonebone, Nuijamiehet, Teddy Rok 7, Triade, Zanussi 5, the UMO Jazz Orchestra and the Espoo Big Band. In addition, Innanen has performed and/or recorded with a number of other well-known artists such as trumpeters Anders Bergcranz, Laurent Blondiau,Ted Curson, Ingrid Jensen and Herb Robertson, saxophonists Frank Gratkowski, Liudas Mockunas and John Tchicai, pianist Sylvie Courvoisier, violinists Mat Maneri and Frantz Loriot, guitarists Ryan Blotnick, John Ehlis, Takayuki Kato and Hans Olding, vibraphonist Karl Berger, balafonist Aly Keita, bassists Filip Augustson, Ken Filiano, Barry Guy, Ingebrigt Håker Flaten, James Ilgenfritz, Simon Jermyn, Max Johnson, John Lindberg, Pascal Niggenkemper and William Parker, and drummers Juan Pablo Carletti, Billy Cobham, Andrew Cyrille, Joe Hertenstein, Håkon Mjåset Johansen, Tim Kuhl, Paal Nilssen-Love, Kresten Osgood, Randy Peterson and Tom Rainey as well as virtually all of the musicians active on the Finnish jazz scene. Veli Kujala (b.1976) received his Master of Music degree from the Sibelius Academy in 2004 and his Doctor of Music degree in 2010. Although Kujala has won several prizes in international competitions for soloists and for composition in the field of classical music, he is also well known for his interest in improvised music. In recent years, Kujala has performed improvised music with a number of ensembles ranging from the Brazilian influenced Pipoka (with tuba player Petri Keskitalo and guitarist Jarmo Julkunen) and the eclectic jazz group Gourmet (with Mikko Innanen and others) to the freely improvising Velhot (with violinist Mikko-Ville Luolajan-Mikkola and bassist Teppo Hauta-aho) and Kaski (with saxophonist Jorma Tapio, bassist Sampo Lassila and percussionist Janne Tuomi) as well as Kujala´s duo with trombonist Jari Hongisto. Kujala has also frequently performed in France, including concerts with Unit (saxophonist Matthieu Donarier, trumpeter Laurent Blondiau and bassist Sebastien Boisseau), Quatuor IXI (with violinists Régis Huby and Irène Lecoq, viola player Guillaume Roy and cellist Atsushi Sakai) and Yolk Collective (with saxophonist Alban Darche, trombonists Daniel Casimir and Jean-Louis Pommier and bassist Sebastien Boisseau). Kujala has co-operated with a number of contemporary composers and has premiered accordion concertos by Markus Fagerudd, Pekka Pohjola and Olli Virtaperko. He has also performed works by composers Kalevi Aho, Frierich Goldmann, Paola Livorsi, Uljas Pulkkis, Einojuhani Rautavaara, Osmo Tapio Räihälä, Tomi Räisänen, Matthew Whittall and Helmut Zapf and has performed as a soloist with numerous chamber and symphony orchestras. Kujala´s collaboration with composer Sampo Haapamäki led to the invention of a new instrument, the quarter-tone accordion, which Kujala uses when performing with K-18. 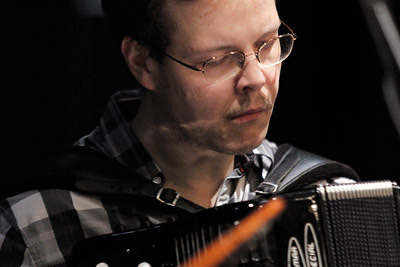 Sampo Haapamäki´s concerto for the quarter-tone accordion, Velinikka, was premiered by Kujala and the Insomnio Ensemble in Amsterdam in 2008 and Joachim Schneider´s Double Concerto also featuring this instrument was premiered by Kujala and the Lapland Chamber Orchestra in 2011. 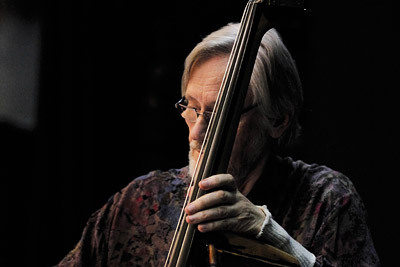 Teppo Hauta-aho (b.1941) first began playing the double bass by ear without any formal musical education. After learning the basics of prima vista, he was admitted to the Sibelius Academy in 1963 and studied bass with the legendary Oiva Nummelin, receiving his diploma in 1970. He also studied bass with Frantisek Posta in Prague during the late 1960s and early 1970s. Between 1965 and 1972, Hauta-aho was a member of the Helsinki Philharmonic Orchestra and, from 1975 until his retirement in 1999, a member of the Finnish National Opera Orchestra. Hauta-aho has also performed as a member of the George Russell Big Band, the Mal Waldron Quartet, the Anthony Braxton Octet and, from 1998 until 2001, the Cecil Taylor Quintet (with Taylor, saxophonist Harry Sjöström, cellist Tristan Honsinger and drummer Paul Lovens). More recently, Hauta-aho has been a member of the Olavi Trio (with trombonist Jari Hongisto and drummer Olavi Louhivuori: Trilogia, TUM CD 026), the Kalima-Kalmisto Duo (with Kalle Kalima), Sound Kitchen (with Jari Hongisto and guitarist Hasse Poulsen), the Töölö Bass Trio (with bassists Erik Siikasaari and Heikki Virtanen) and Quintet Modern (with Harry Sjöström, trombonist Paul Rutherford, violinist Phil Wachsmann and Paul Lovens). In 2005, Hauta-aho released a recording of improvised duos with pianist Eero Ojanen (Duo Nueva Finlandia: Short Stories, TUM CD 012).